Former Secretary of Defense, under President Kennedy and President Johnson, Robert S. McNamara was one of the most controversial and influential political figures of the 20th century. Now - for the first time ever - he sits down one on one with award-winning director Errol Morris to offer a candid and intimate journey through some of the most seminal events in contemporary American history. As leader of the world's most powerful military force during this nation's most volatile period in recent years, McNamara offers new and often surprising insights into the bombing of Tokyo, the Cuban Missile Crisis, and the effects of the Vietnam War. Featuring newly released Oval Office recorded conversations with Presidents John F. Kennedy and Lyndon B. Johnson, The Fog of War received critical acclaim for its up-close and personal insider perspective. See the film that Roger Ebert (Chicago Sun-Times) hailed as "a masterpiece!" $41.449 thousand on 3 screens. 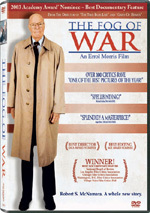 Subtitled “11 Lessons from the Life of Robert S. McNamara”, The Fog of War provides an Oscar-winning documentary in which its subject discusses his life and career. 85 at the time of filming, McNamara remains best-known as the Secretary of Defense under Presidents Kennedy and Johnson. This put him at the forefront of the prosecution of the war in Vietnam, a subject that occupies much of Fog. Fog combines modern interview footage with McNamara and archival footage. Periodically throughout the movie, we find the movie’s “11 Lessons”. These include “Empathize with your enemy”, “Rationality will not save us”, “There’s something beyond one’s self”, “Maximize efficiency”, “Proportionality should be a guideline in war”, “Get the data”, “Belief and seeing are both often wrong”, “Be prepared to re-examine your reasoning”, “In order to do good, you may have to engage in evil”, “Never say never”, and “You can’t change human nature”. As the movie examines the events of McNamara’s life, it does so in a non-linear manner. It opens with the Cuban Missile Crisis and the general competition connected to nuclear weapons. We then head back to McNamara’s early years and hear of the impact of World War I, the flu epidemic, his 1st grade teacher, the Depression and his collegiate experience. From there we learn of McNamara’s marriage and time served in World War II. McNamara discusses General Curtis LeMay and his influence. McNamara again touches on issues connected to nuclear weapons as well as his time as the leader at Ford Motors. He then relates how he got the gig as Secretary of Defense and the administration’s eventual plans to remove advisors from Vietnam. McNamara goes into Kennedy’s assassination and then developments in Vietnam. He discusses initiatives there and erroneous conclusions of the leaders. McNamara also discusses his relationship with President Johnson as well as his decision to leave the job. When the Oscars ran, I rooted for Capturing the Friedmans, partially because it’s the only nominee I saw prior to the ceremony. I did really like it, but I thought I’d also enjoy Fog when I saw it. I love 20th century history and thought that it’d offer an interesting look at a tumultuous period. It does, but not to the level I expected. I found much of interest in Fog, but I continue to think Friedmans offered the stronger program. On the positive side, McNamara remains sharp as a tack, and he expresses his memories and opinions well. We find a fascinating contrast between McNamara’s public pronouncements about the situation in Vietnam and the private discussions. The audio recordings from the White House are simply terrific, and the movie maintains a surprisingly fluid attitude. This is one of those movies that could be viewed favorably by both hawks and doves, as parts of it seem to support each side. It definitely accentuates the lack of black and white options. However, I think the doves will probably get the most from it, especially given the analogies to the current international situations. I have mixed feelings toward the film’s lack of chronological telling. It works in an elliptical way and generally seems effective. I definitely don’t think that strict chronology is necessary, but at times the looping narrative seems to lack a purpose. It works fine but doesn’t demonstrate a crisp and clear viewpoint that way. Fog uses a lot of illustrative footage created explicitly for the film. For example, to depict the Domino Theory, we see dominos fall throughout Southeast Asia. That’s not terribly clever, and it also doesn’t work all that well. The movie uses lots of these techniques, and they often feel heavy-handed and silly. Occasionally they function appropriately, but too much of the time they seem like they try too hard to create an emotional impact. The film doesn’t need them, as McNamara’s testimony is enough. Actually, director Errol Morris tosses in a number of techniques that undermine the impact of the flick. In addition to the sporadically effective illustrative footage, a lot of the shots of McNamara present jumpy cuts. These come from the same camera angle, which makes them look very odd. I don’t know if these occur because of tics or coughs from McNamara; perhaps they attempt to hide behaviors that would become even more disruptive. Whatever the cause, they create distractions and detract from the material. Ultimately, The Fog of War loses some punch because it fails to concentrate strongly enough on its focus. We find too much set-up footage and not enough from McNamara. When he talks, he offers insightful comments and presents a lot of interesting material. Unfortunately, the movie often takes away from that presentation and spices things up unnecessarily. The film presents distracting techniques that occasionally make it less effective. It presents enough useful material to merit a screening, but it fails to capture the imagination as much as I’d like. 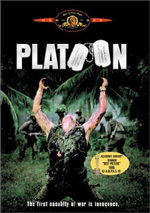 The Fog of War appears in an aspect ratio of approximately 1.78:1 on this single-sided, double-layered DVD; the image has been enhanced for 16X9 televisions. Given the nature of the production, the picture quality seemed pretty positive. I didn’t factor the archival material not shot explicitly for Fog into my grade. Those elements demonstrated all sorts of flaws, but it didn’t seem fair to criticize the DVD for problems with that kind of stuff. As for the new shots, they presented solid sharpness. The new elements consistently looked crisp and detailed, and they betrayed few signs of softness. Those bits portrayed no problems with jagged edges or shimmering, but a little edge enhancement cropped up at times. As for source flaws, the images occasionally looked a little grainy, and they also showed occasional examples of speckles. Not surprisingly, the DVD’s palette tended toward natural tones. 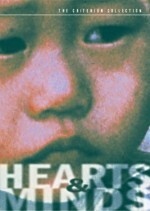 The movie’s hues came across with positive clarity and definition. The colors always looked vivid and concise, and I noticed no problems with them at any times. Blacks also seemed deep and firm, while the occasional low-light shots appeared well defined and clean. Overall, the mix of minor concerns knocked down my grade to a “B”, but I found the image to seem satisfying for this sort of flick. Given the film’s focus, I expected little from the Dolby Digital 5.1 soundtrack of The Fog of War but instead found it to provide a surprisingly involving effort. Of course, the dialogue remained the focus, as the majority of the film’s information came from interviews or other conversational bits. However, the program used audio cues well to gently support the visuals. These mostly connected to the many scenes of warfare. Those never became full-volume like they would in a recreation of such actions, as they remained in the background. Nonetheless, battle elements showed good movement and localization, and they also spread to the rear well. The track occasionally even offered some split-surround material, such as for the flight of helicopters. Again, this stayed subdued, but it manifested itself well. Audio quality also seemed fine. Speech was consistently crisp and concise, with no issues connected to edginess or intelligibility not caused by poor source materials; some of the White House tapes sounded fairly bad, but that was inevitable, and the movie provided helpful subtitles to make sure we understood the content. Music and effects remained background elements to a substantial degree, but they seemed well-reproduced and clear. Effects even boasted pretty active subwoofer use at times, as some explosions made use of the low-end to a surprising degree. Ultimately, the audio of Fog complimented the film nicely. Among the DVD’s supplements we find Robert S. McNamara’s Ten Lessons. 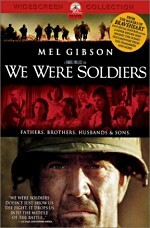 This opens with an audio introduction from McNamara as he explains that the movie’s 11 lessons aren’t his; this feature presents the 10 lessons he personally prepared. We then check out the text of these lessons, which include things like “the indefinite combination of human fallibility and nuclear weapons will lead to the destruction of nations” and “if we are to deal effectively with terrorists across the globe we must develop a sense of empathy – I don’t mean ‘sympathy’, but rather ‘understanding’ – to counter their attacks on us and the Western World”. Some of these seem a bit obvious, but given the status of the world today, they bear discussion. In the Additional Scenes area we locate a whopping 24 added clips. When viewed via the “Play All” option, these fill 38 minutes, 10 seconds. McNamara covers too many topics for me to describe them all here, but he goes into many different elements of his life and career. Among other things, he elaborates about wartime experiences in the Thirties and Forties, a near-miss opportunity during the Cuban Missile Crisis, the shoddy state of Ford Motor when he arrived, his work with the World Bank and related issues, and the alleged missile gap discussed during the 1960 presidential campaign. A fair amount of the comments fall in the anecdotal category, like memories of working on a Pacific liner and interactions with President Johnson. Quite a lot of interesting material appears, and we get a nice expansion of the various topics. Much of it goes onto tangents that would have become distracting in the final film, but they add fine information here. Finally, the DVD ends with some Previews. Here we locate a trailer for War plus two of its TV spots. In addition, we discover ads for Big Fish and Winged Migration. Overall, The Fog of War comes across as involving and informative. However, too much of the film becomes bogged down by intrusive illustrative material, and it only sporadically works effectively. The DVD presents consistently solid picture and audio plus some extras highlighted by a large collection of additional scenes. I don’t know if it deserved the Oscar, but Fog of War includes enough compelling information to merit a look.